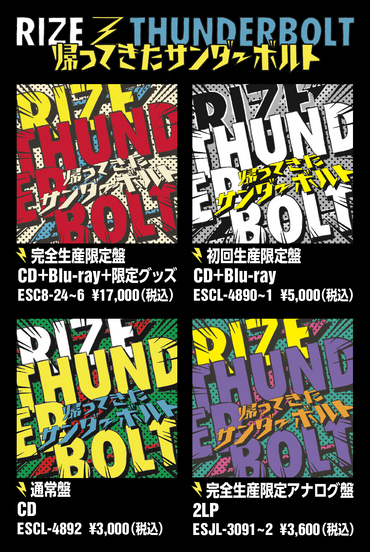 RIZE TOUR 2017 "RIZE IS BACK"
東雲レコーズ / JCC Co., Ltd.
RIZE TOUR 2017"RIZE IS BACK"
In August of 2000, RIZE debuted with their hit single "Kaminari," under Epic Records, which made a huge impact to the Japanese Rock scene as well as launching their very successful careers. 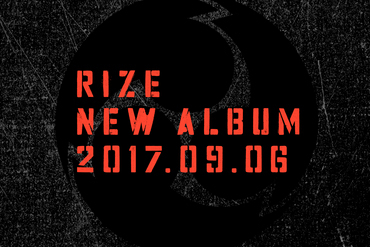 Since their breakthrough, RIZE has toured not only in Japan but in America and South-East Asia, accelerating to establish their presence in world music markets. RIZE have performed alongside international artists such as OASIS, JAY-Z, NINE INCH NAILS and RUN DMC. 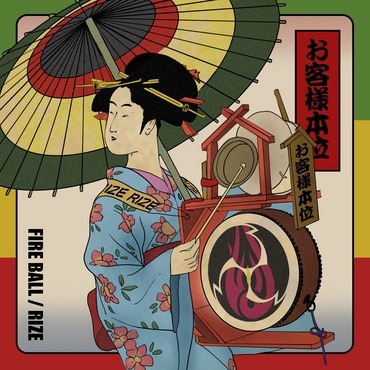 One of RIZE's most notable accomplishments came in 2003, where they went on an All-American tour with THE KOTTONMOUTH KINGS, performing at 38 shows. 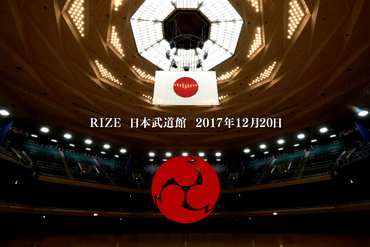 In July of 2005, RIZE could successfully appear on the stage of "Live 8" as the opening act, a world-renowned event broadcasted in 7 other countries. Their powerful performance was highly praised and left a big impression with the international music community. On the top of the successful performance at "LIVE 8" in 2007 RIZE was proudly invited as only representative rock band from Japan at "LIVE EARTH" appearing on the stage with Linkin Park, etc, an acclaimed charity live founded by producer Kevin Wall, and former U.S. Vice President Al Gore, where again RIZE's outstanding performance brought them international fame. 04月 アジア7カ国でCoca-Cola Zero CM O.A.